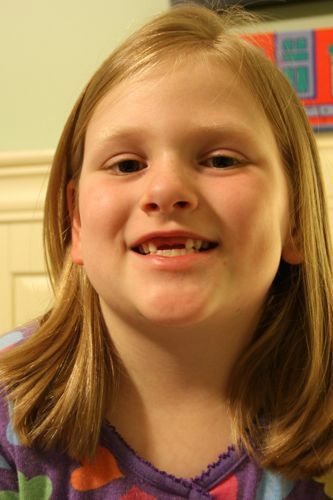 Sam lost her other top front tooth at school. Apparently, she bit down too hard while at lunch and her tooth started bleeding. It caused issues with the other Kindergarten teacher and the PE teacher. I couldn’t get a clear picture of the whole story, so I have no idea why the PE teacher had anything to do with it. The permanent teeth are no where to be seen, so for now, we tease her by asking her to say things like “first,” “three” or “frozen.” But, she takes the little teasing because she gets to use 2 straws!